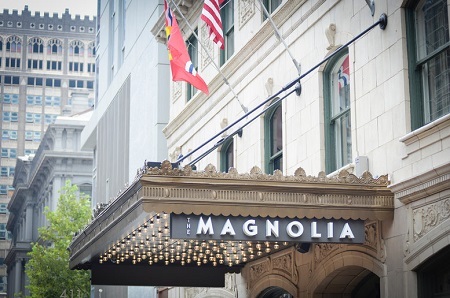 The Magnolia Hotel St. Louis in St. Louis, Missouri! Bid per Room per Night and Choose your Length of Stay! 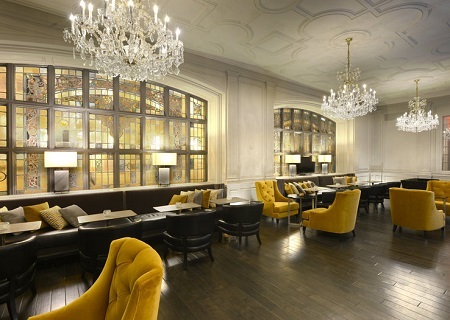 Originally built in 1924 as the Mayfair Hotel by Charles Heiss, the hotel has since undergone many changes throughout its history. The hotel holds significant historical firsts including the first female general manager in St. Louis, and was the origination of chocolates on a pillow by the famous actor, Cary Grant. Experience our delicious menu options at our downtown St. Louis restaurant & bar, Robies Restaurant and Lounge, or retreat to the comforts of your room or suite and order room service. A la carte breakfast, lunch and dinner is served daily in Robie's, located on the lobby level of the hotel. 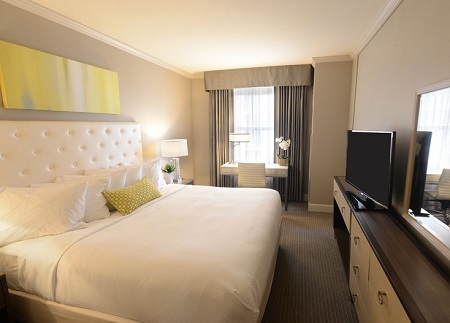 Our St. Louis hotel rooms are complete with well-designed furnishings and custom Magnolia bedding. Imagine bedding fit for royalty, furniture fashioned in contemporary wood, and bathrooms adorned with upscale furnishings. Over sized work desks, flat-screen televisions, and complimentary high-speed Internet all make your business or getaway in downtown St. Louis, MO a genuine pleasure. Offer is based on a Single or Double Occupancy in a Deluxe Room with 1 King Bed. 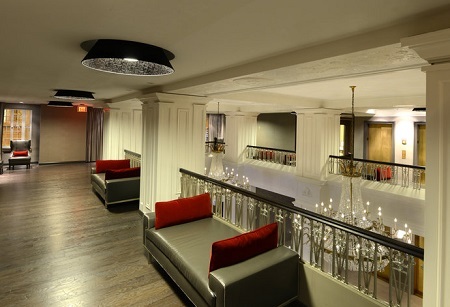 Upgrade to Deluxe Suite available for an additional + $25 per room per night. During your stay in one of Magnolia Hotel St. Louis' suites, experience amazing separate sleeping and living room areas. The suites include an executive desk, plush Magnolia king bed, flat-screen television along with exquisite room furnishings. Stay a minimum of 1 night or up to 7 nights. A Tax and Service charge of $49.oo per night is additional.